On Wings of Eagles: What about you? A teacher asks her second-grade class to draw a picture of the happiest day of their lives. After they turn in their assignments, she straightens them into a pile and begins to scan through them. She pauses at one picture. The picture is of a funeral. She looks for the name at the top and calls the student up to her desk. When she asks him to explain, he tells her the happiest day of his life will be his funeral. The happiest day because he will go to heaven. 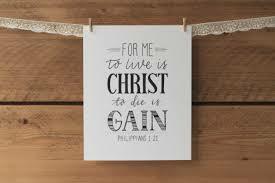 When the Paul wrote “For to me, to live is Christ, and to die is gain,” he was expressing the heart of being a Christian. From the Bible, Christians understand and believe that they are full of sin. They see the selfishness inside themselves. They see how much they resent God commanding them to do things they don’t want to do. They realize how they really have nothing to offer God for him to look on them with favor. They also understand and believe how much God loves them. Jesus lived a completely innocent and sin-free life. He then covered himself with all the garbage of our sin and guilt. Jesus took all the blame and all the shame we deserve. He stood still under the crushing justice of God’s anger over our sin. His sacrifice guaranteed no Christian will ever experience even an ounce of God’s justice. Christians understand and believe that heaven is waiting for them. When they die, Jesus will welcome them into that place filled with joy and peace, where there is no sadness, and sorrows no longer exist. It’s no wonder Christians look forward to the day when they leave their pains, their aches, and their struggles behind to gain the perfect happiness of living with Jesus forever! The same love from Jesus that fills Christians with hope also fills them with purpose. Jesus’ love leads believers to want to serve Jesus in any way and in every way they can. They live to give glory to Jesus. I’m looking forward to my funeral. In the meantime, I thank Christ he’s given me another day to serve him. Dear Lord, thanks for giving us heaven. We can’t wait to be there with You and the ones that went before us! In the meantime, help us to live for You, serving You with our whole life. In the Name of Jesus, Amen.